‘Listen carefully now…and keep up. ‘We've lost Euan. 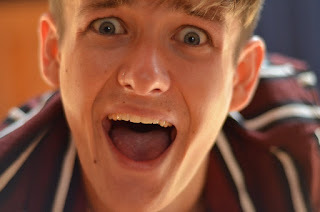 Euan's gone. Euan ain't coming back. No one can know that Euan's gone, cus', well, we're 'sposed to be looking after Euan. 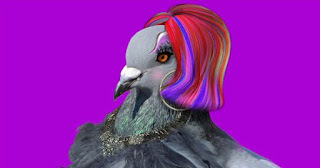 And if the boss finds out, then she ain't gonna be happy. 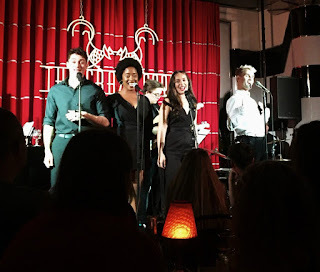 So, we gotta find Euan. 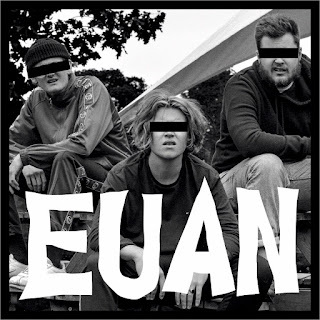 Which is all well and good, if anyone actually knew what Euan was. 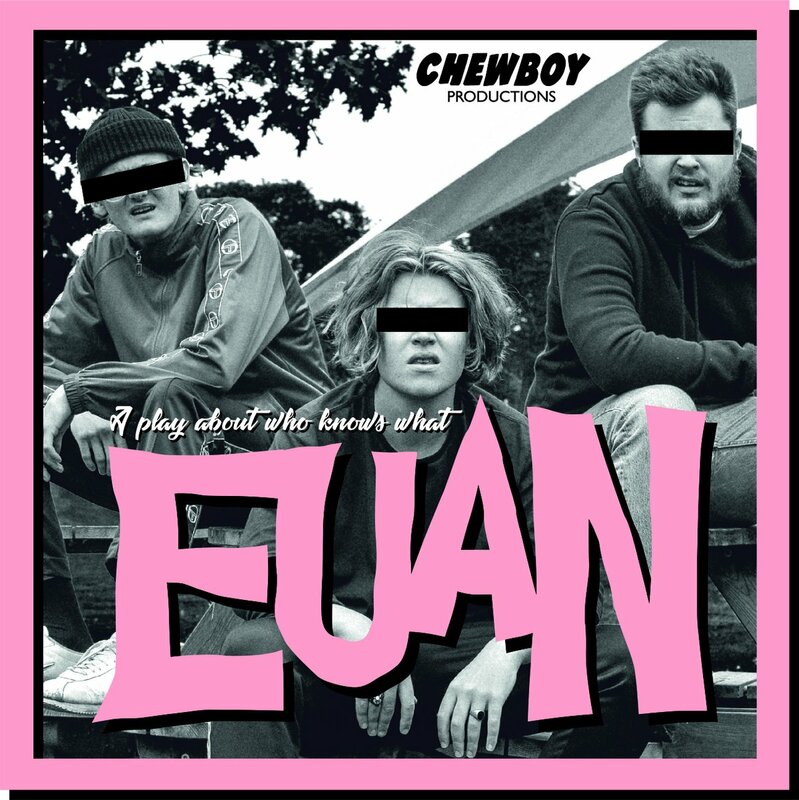 EUAN is a surreal, madcap, exhausting, smart, witty, fascinating debut piece by ChewBoy Productions - a brand new company from West Sussex, founded by writer/performer Georgie Bailey and artist/performer Hal Darling, aided and abetted by the ‘acting powerhouse’ that is George Craig. 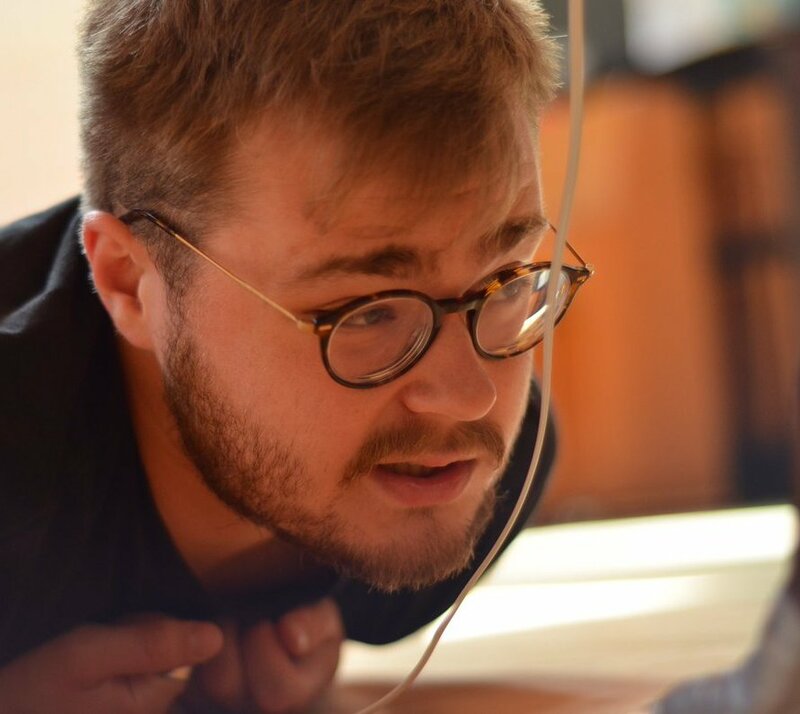 George Craig’s performance was utterly mesmerising throughout and his regular interruptions to grab his Dictaphone to record novel ideas, or wax lyrical about his pet woodlouse were hysterical, bizarre comedy at its best. 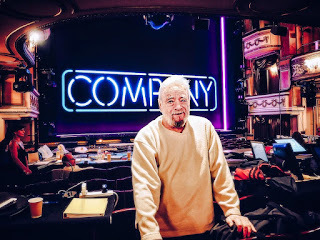 As actors, it was also smart to see the passing references to their professional training, especially the exploration of stage combat, which resulted in an exquisite display of physical comedy, beautifully timed and one of several genuine laugh-out-loud moments. The ultimate success of EUAN lies in the trust displayed between the actors, the undoubted cleverness of the writing, and the breathless – literally – enthusiasm of their performances. 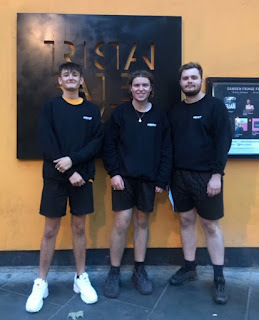 The ‘Chewboys’ are definitely a theatrical force to be reckoned with, and it will be fascinating to see their undoubted talent develop in the near future - that’s assuming they actually manage to find the illusive Euan in the first place. So don't delay, join the search! SPECIAL NOTE. 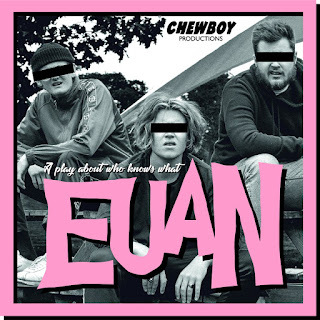 EUAN has one of the most stylish programmes seen in a long while and clearly is an excellent reflection of the Chewboys’ undoubted interest in their brand values and ultimate promotion.